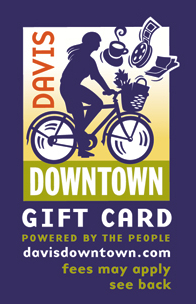 Davis Downtown has hosted this popular community tradition for many years. Families Trick-Or-Treat at local businesses for Halloween. Recommended for kids ages 10 and under. The event always occurs RAIN or SHINE! Artist, Tom Corbett, will be sketching caricatures, skeletons, costumes, and more, throughout Treat Trail! Catch him in front of the Varsity Theater and take home your own piece of art from the event!